Valve is an insidious bunch. Not in the vein of a Bain Capital, Blackwater, or Monsato, mind you. I don’t believe they’re deliberately attempting to ruin lives through cold, impersonal profiteering. It’s undeniable, though, that events like the Summer Steam Sale, which just ended this past Sunday, are affairs during which the software developer and distributor basically prints money. They also make it very difficult for other companies to start or maintain digital distribution services. Case in point: on the last day of the Steam Sale I saw Galactic Civilizations II was deeply discounted. Being a fan of 4X games, especially those set in space, I momentarily lamented the state in which the sale had left me (which I’ll get to in a moment). But then I remembered I bought GC2 some time ago from the publisher, Stardock. Curious, I looked into how to redownload the game and its goodies, hoping I could activate it on Steam. Sadly, not only was that not an option, but I also was forced to download and use a GameStop application to get the games. Now, GameStop in general turns my stomach. The fact is, though, that their little app is functionally no better or worse than Steam, or EA’s Origin. However, Steam has already tied itself into so many games and collected so much revenue that it’s difficult to stop. Gabe and the folks at the Valve office may be making money hand over fist, but at least their company is one I feel more comfortable dealing with and support than the likes of EA or GameStop. I can’t deny, though, the diabolical nature of Steam’s deepest discounts. This highly-recommended game is $10 one day, this lost gem is $5 the next, and so on. Those charges, while small in and of themselves, do tend to add up. Especially if the event is a week long, or longer, you may find yourself destitute by the end of it, and downloading more games than you could hope to play within a reasonable amount of time. I haven’t finished the first Witcher, for example, and now Witcher 2 is waiting to be played immediately after, provided I can find the time around sessions of Binding of Issac, The Walking Dead, and Batman Arkham City to name just a few. The thought has crossed my mind that I could play a lot of these games marathon-style for the next Extra Life event, coming up in October, but my original plan for that was to do a Wing Commander marathon instead. More details later. The bottom line is, for all of their good business practices, decent public relations, and excellent game design, in the aftermath of this latest sale I can’t help but think there’s something to the notion that Valve may be secretly evil. I’ve been really busy being dead. You know? After you murdered me? I didn’t feel I could open a review of Portal 2‘s single player campaign any other way. When the original game was released as a supplemtary portion of Valve Software’s Orange Box, nobody expected it would become the phenomenon of a video gaming generation. Everybody loved it, even critics notoriously hard to please. When a sequel was announced, fans were jubilant at the prospect but also feared it. Would it be a game every bit as bold as the original, or would it just be more of the same, sacrificing innovation for name recognition in the infamous tradition of Bioshock 2? Let it not be said that Valve does not innovate. Sure, some of the levels in Portal 2 have a familiarity to them for fans of the first game. But things have definitely changed. One of Valve’s programmers said that Portal was the test bed while Portal 2 would be an actual game. It certainly feels that way. Portal 2 has a lot of depth to it, both figuratively and literally. The figurative depth comes in the aforementioned innovations. There are deadly lasers (“Thermal Discouragement Beams”), bouncy things (“Aerial Faith Plates” and “Repulsion Gel”) and new types of cubes. Some of these changes don’t alter the nature of play all that much, while others make for some truly interesting puzzles. More than once I found myself standing in a test chamber wishing I had just a little repulsion gel to work with. Instead, I had to figure out how to replicate the gel’s use or solve the puzzle a different way. And any addition that allows a player to think more critically is a good one. As for the literal depth… well, that brings me to the subject of the campaign’s story, which I will not spoil here. Let me see if I can sum up the bullet points without giving anything away. You will learn more about Aperture Science’s history and philosophy. You will learn more about how Chell changed things in the first game. You will discover a rather chilling secret about the Enrichment Center. And you will, in fact, be reunited with GLaDOS, but not necessarily in the way you may expect. I find myself wanting to play the single player campaign again. Other than knowing I missed an achievement or two, I feel there are story points I might have missed, would like clarified or simply wish to experience again. I laughed a lot, I found myself thinking about the ramifications of what I was seeing or hearing, and I was touched, disturbed and (naturally) frustrated. When things reached the end, I was sitting back and smiling, not because I’d finished a video game, but because the ending showed me what it means to have your antagonist be more than just a final boss. I need to stop myself before I give any further spoilers. Play the game, find out for yourself. Stuff I Liked: The new gimmicks, gizmos and gels introduced. The spit-shine put on the environments, characters, sounds and other design elements. 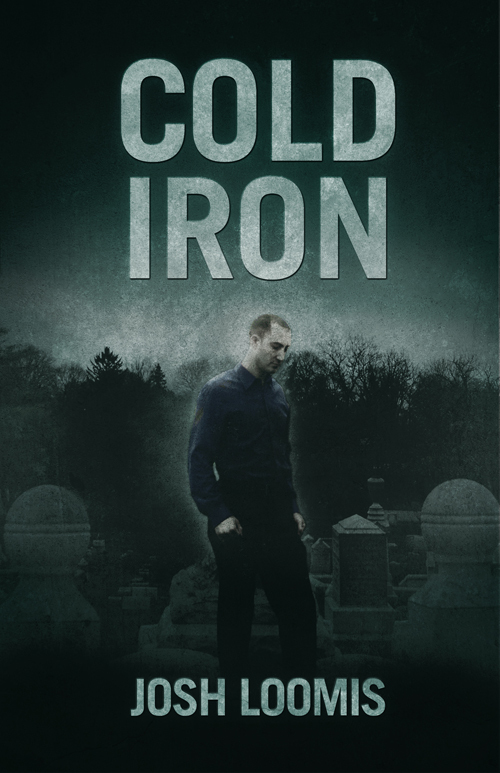 The fact that the story felt coherent, well-plotted and constantly building. Stuff I Didn’t Like: It went on sale not long after my download. I could have used that money. Stuff I Loved: Every single voice actor. The excellent use of incidental music. 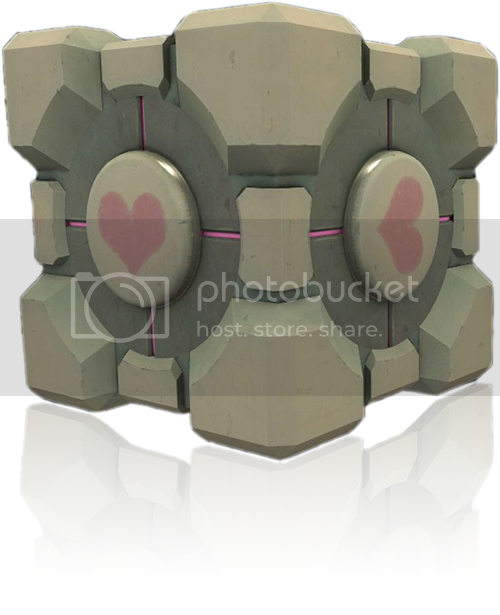 The characterization of GLaDOS, Wheatley and others. The religious turret. The way it left me wanting more. The way it made me laugh. The way it didn’t let me down. Bottom Line: If you haven’t already picked the game up, even if you’re strapped for cash, find a way to add Portal 2 to your collection. Yes, the campaign is short, but the story is so good, the puzzles sufficiently challenging and the gameplay so much fun that you won’t mind the briefness of a game that still has the good taste not to wear out its welcome. Final Note: I will cover the co-op campaign seperately once I find someone willing to plow through it with me. You can find my Steam ID under Stalking Methods. So, what can you do with $5 these days? Get a Happy Meal, or a footlong sub. Take a ride on a mass transit people-mover. Put just over a gallon of gasoline in your car. Or, get yourself lots, and I mean lots, of entertainment. On the surface, Poker Night at the Inventory sounds like something thought up as a cute little “what if” scenario. Simply, this is bunch of Internet favorites gathered together to play some no-limit Texas Hold ‘Em in a private, semi-secret club established as a holdout first against Prohibition, then the idea of games becoming shunned or banned. While some of us might simply sit around drinking and talking about how such a scenario might play out, Telltale Games took a break from their succession of point-and-click adventure entries that breathed new life into some neglected LucasArts franchises and made the scenario happen. It’s now available on Steam, and the results are simple, addictive and hilarious. They saved you a seat. The characters are, as I said, favorites of the Internet. First is Max, of the Sam & Max Freelance Police. Of the two, Max has always been the unhinged one. His tendency is to solve his problems with violence. The rabbit from Monty Python & the Holy Grail has nothing on the lagomorph, since the furry little slayer of knights never ran off at the mouth about how much he enjoys the taste of kneecaps. He’s here thanks to Telltale Games bringing him and his big canine partner back from the grave LucasArts dug for them in the 90s. Next is StrongBad, of Homestar Runner. He first appeared courtesy of TellTale in his Cool Game for Attractive People. Apparently the only thing he got out of the game’s designers was “a recommendation for a cool hang-out.” He’s the shortest player at the table, but do not judge him by his size. Or the fact that he can hold his cards quite well despite the boxing gloves. Taking a break from crushing tiny baby-men with bare hands, the Heavy of Team RED came to the Inventory after the Engineer showed him where it was. Apparently, destroying opponents in games of poker is just as satisfying as mowing them down with Sasha. Not only does he bring his distinctive voice and imposing presence, the Heavy also shares quite a bit about himself. You may just find out what his favorite movies are. Last but certainly not least, Tycho of Penny Arcade may seem to be the most reasonable one at the table, but don’t be fooled. He brings not only his trusty 20-sided die but also portents of doom and his rapier-sharp rapid-fire wit. He rounds out your opponents nicely. The dialog and interactions in this game are fantastic. They alone are worth the price of admission. And, really, they’re what you’re paying for. As a representation of Texas Hold ‘Em goes, it’s not going to set the world on fire. Max might, though, if I don’t wrap this review up quickly. In contrast to a lot of Steam titles available, this is a relaxing and fun little enterprise. One-liners whip across the table as your opponents taunt one another and call you out to match their bets. Even when you’re not playing, say for example after Strong Bad went all in on what seemed to be a weak flop only to pull a flush out of his mask, you’re pretty much guaranteed to have a good time. There’s hours of entertainment here, and for $5 on Steam, you can’t ask for more and might expect much less. 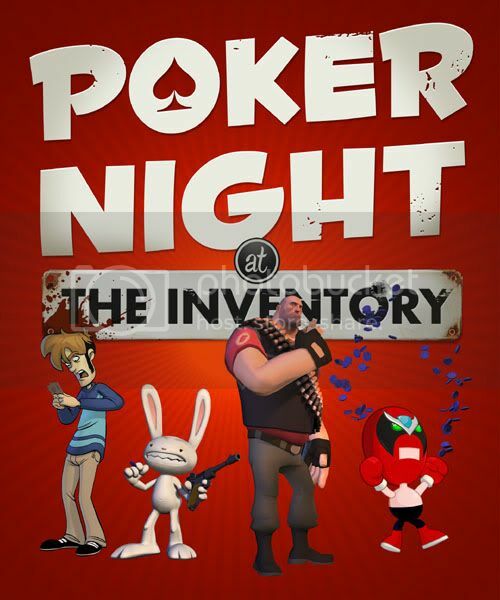 Poker Night at the Inventory is packed to the brim with more than you’d think, from fantastic dialog to Team Fortress 2 unlockables, and is worth every penny. Yesterday I talked about the constraints of an established universe and what to do if you want to avoid raising the ire of the fan community. However, keep in mind that this is merely advice for most fan works. Sometimes you want to break the established constructs for one reason or another. That’s fine. Nothing new is created without something old being at least partially destroyed. This is done a lot in fanfiction. A lot of Mary Sues are born out of a writer’s desire to break a character’s norms, have them develop in a different way. Most of the time, that ‘different way’ is falling in love with/universally praising/getting in a situation in which they can only be saved by the aforementioned Sue. On the one hand, this isn’t a bad way to acquaint oneself with writing within the constraints of a given established universe, or more than one if you’re doing a crossover. On the other, be prepared for even more flak than usual depending on which direction your Sue takes you. I’m not saying all fan fiction has Sues or author insertion characters. The crossover epic Unity keeps the characters from both established universes pretty consistent while playing with reader expectations. If pressed to recommend some “good” fan fiction, that’d be it. And then there are parodies. A good example of using lore for the purpose of parody is a YouTube series called The GMod Idiot Box, created by some guy calling himself Das Bo Schitt. While there’s some pretty screwball comedy that goes on within the episodes, he actually goes to some length describing how his characters came to be. He couples familiar sights and sounds from popular Valve games with well-chosen music and some classic comedy gags. I can’t say everybody would enjoy the videos, as some of the comedy borders on the juvenile, but some of it does get me rolling on the floor laughing. Which says a lot about me, I guess. Anyway, those are a couple ways a writer or artist can use established lore without staying entirely constrained within its mores. What are some others? I was given a guest pass for Counter-Strike: Source during the Steam sale. I was curious to check it out. I haven’t played Counter-Strike since my college days, and since then I’ve discovered the likes of Team Fortress 2 and the Left 4 Dead games to get my co-operative shooting action on. 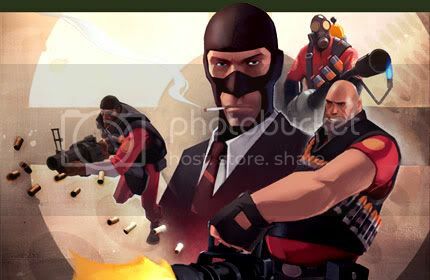 With TF2 being the closest cousin to CS:S in terms of gameplay, the comparison seems inevitable, so let’s toss these two in my blood-soaked cage and see what happens. Counter-Strike:Source sells itself as a quite sober affair. 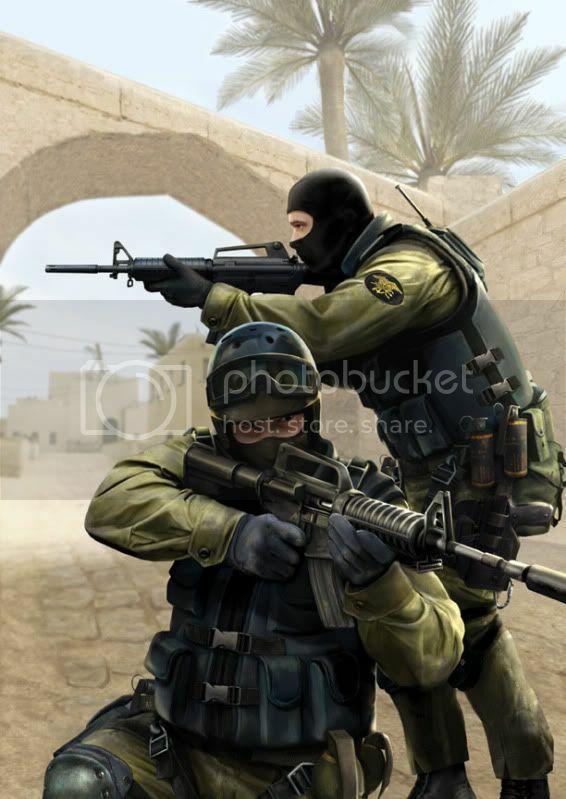 Terrorists plant bombs in locations, and the Counter-Terrorists (CTs) work to prevent said bombs from going off. That’s pretty much it. It allows the game to become something of a shooty sandbox, filled with actual sand (on some maps). This simplicity isn’t necessarily a bad thing, but it does make things feel a tad big generic. 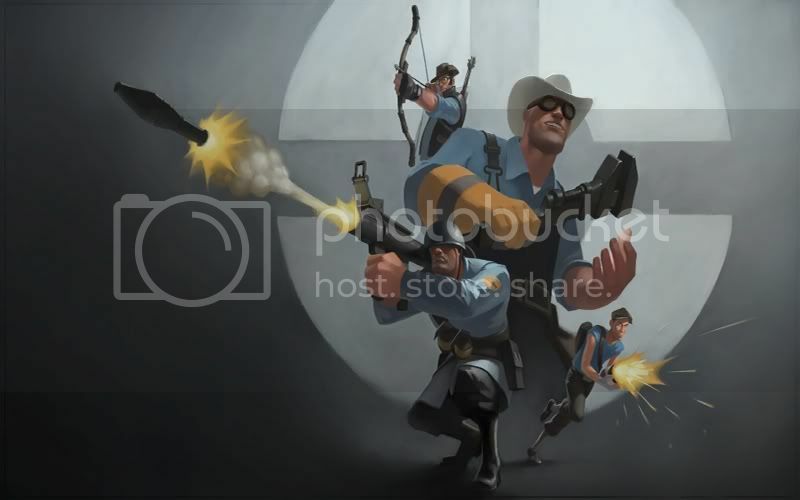 Team Fortress 2 is the ongoing struggle between two rival companies over a few scraps of land. Instead of the rather serious tone CS:S strives for, however, TF2 is much more interested in the fun factor. While a rather interesting and somewhat elaborate back-story continues to emerge for both the overall premise and each member of the team, none of it seems involved so much with taking itself seriously as it is with being awesome. CS:S‘s characters are a bit like its premise. You have Terrorists and CTs. Other than some aesthetic differences between, say, the SEAL team and SAS, the characters are completely interchangeable. The only way to really differentiate yourself is to constantly buy a particular set of weapons & equipment that suit your style of play. There really isn’t much more to say about it. 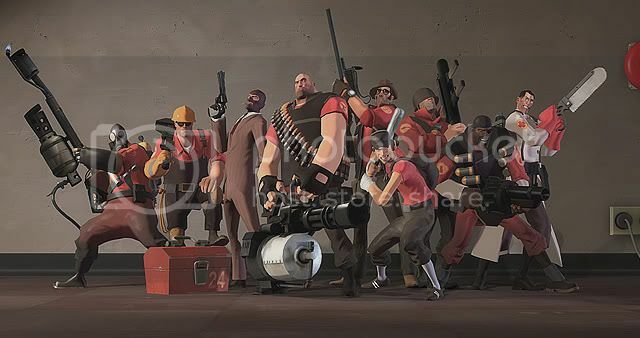 TF2 has a cast of characters that each have a unique look, voice and style of play. While there’s no appreciable difference between playing a Terrorist or a CT in that other game, you cannot play the Heavy and then switch to the Scout or Spy expecting to play the exact same way. You don’t have to know anything about guns to find a class that works for you. Again, there’s very little getting between you and just having fun with the game. 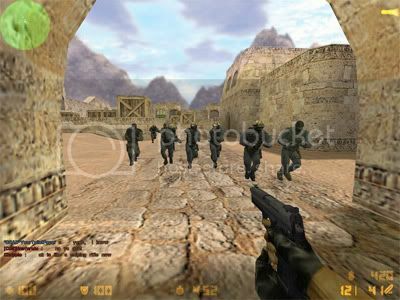 Counter-Strike: Source looks good. The different gun models are pretty accurate, the maps feel realistic and the frenetic pace of the game puts one in the mindset of a tense situation with a clear objective, be it planting the bomb or preventing the explosion. It also, unfortunately, veers towards the same realism as Call of Duty or Battlefield meaning that as accurate as the maps might be in simulating a desert town or an old Aztec ruin, for the most part things are not going to be looking very bright or fresh, but rather somewhat dirty and used. 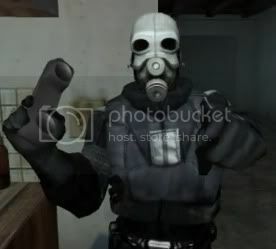 There’s a surprising amount that one can do with Counter-Strike: Source, given that it’s somewhat bare-bones. One of the servers I played on used a mod to give players races, powers and items inspired by Warcraft. Yes, people can be Night Elves, Forsaken and even named characters like Thrall and Archimonde when playing this mod. It’s interesting and I have to appreciate it from a programming standpoint, but I couldn’t shake the feeling it was an effort to make CS:S more interesting. TF2 lets you make custom maps, and I’ve seen some interesting modifications to class items, some of which have made it into the live version of the game – the Pain Train melee weapon, for example. However, you’re not as likely to see these mods as you are those created by people playing CS:S, so while the CTs get the point, it feels to me like it wouldn’t be necessary for such extensive changes to be made to CS:S by the community if the game had more to it. Counter-Strike:Source players are aggressive. I don’t just mean in play styles, either. They’re so focused on blasting the opposing team with either their simulated firearms or another homophobic epithet that they won’t answer simple questions, like where one could find information on key binds. It’s tough being a new player, too, because the first clean kill you make is sure to be met with curses and accusations of hacking the game. At least, that was my experience. 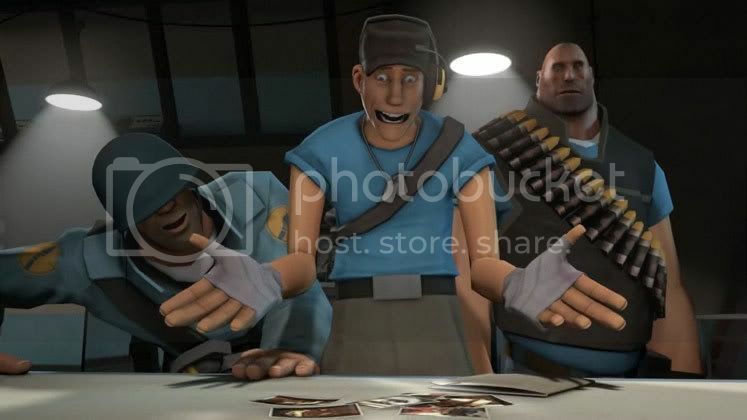 In comparison, Team Fortress 2 players seem more interested in helping one another in having a good time. Now, maybe it’s because I play on the Escapist servers more than most others, but most of the epithets that come my way are in the form of a backhanded compliment. A frustrated vocalization is far more likely to be met with a sadistic, good-hearted giggle than the accusation that you like it rough from men with hairy bums. And when you get your revenge, you’ll probably be complimented on it. You’ll have the occasional immature mike-spammer, but on PC servers at least, they won’t last long. …Wait, what’s this Killing Floor game my Escapist chums keep talking about?